Business woman gift bag charm. This business woman gift is a great gift for anyone who runs their own business. 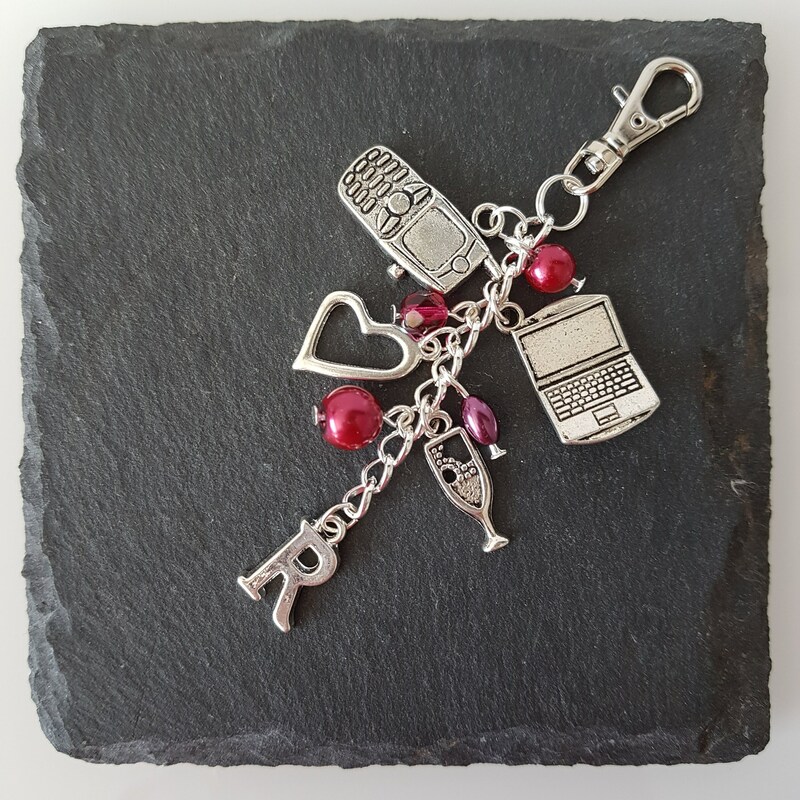 This entrepreneur bag charm is a lovely way to say good luck as someone starts a new business venture. This business keychain is a great gift for a manager, or anyone who works in an an office. It would be a lovely retirement gift for a manager or business woman. 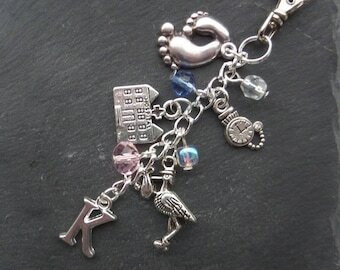 Each charm has five silver coloured charms: mobile phone, laptop, heart, champagne glass, initial of your choice. One of the charms can be swapped to more closely match a business, e.g. a cake for a cake shop owner, or a trainer for a sports business. Please use the 'Request a custom order' button to get in touch. 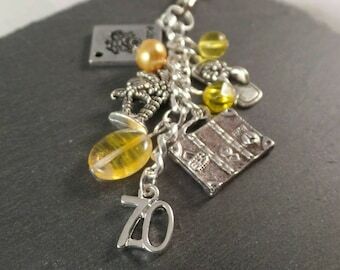 The charm can be customised with beads in a colour of your choice. Please note, the pictures are a guide and exact beads may vary. The length of the charm is approximately 9 cm (3.5 inches). Please note this is not a toy and not suitable for small children.